Ready to elope to a dream Tuscan destination? 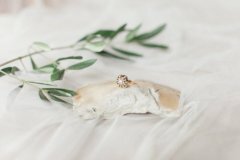 Elopement to Italy – there is something unmistakably magical about boarding a plane just the two of you, ready for a dream secret getaway, with the union of your marriage as the cherry on top. Rather than splurge on a wedding reception and ceremony, you have decided to dedicate the most intimate and precious moments of your life together to each other here in Italy, the land of love, romance and eternal beauty. 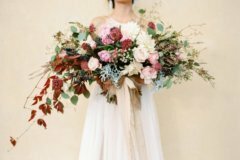 To realize your dream wedding all you need is the right, trusted partner and, with the guidance and assistance of a local, experienced and creative wedding planner you can avoid common pitfalls and fully realize the elopement wedding of your dreams. Ruth and Daniel contacted me a couple of month prior to their elopement wedding in Tuscany. 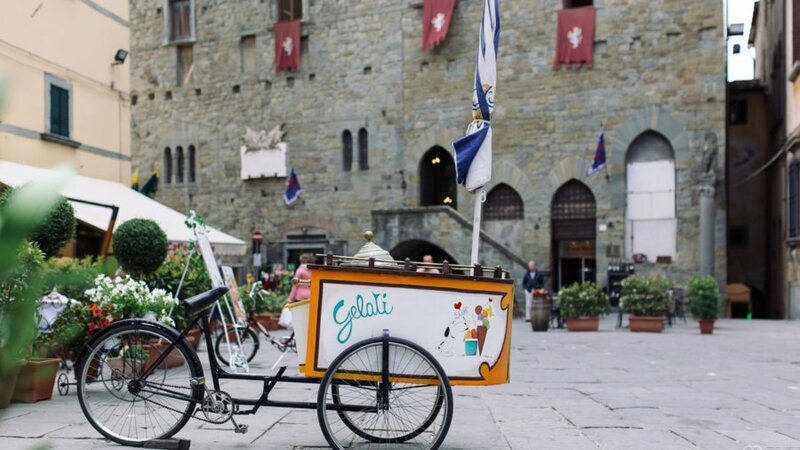 The Civil wedding ceremony took place in the Historic City Hall of Cortona, a well renowned Etruscan town in the heart of the Tuscan countryside, very close to most famous Tuscan art cities like Siena, Arezzo, Montepulciano and the picturesque Chianti region. Here’s the full photo-reportage of the elopement, perfectly captured by Rebecca Silenzi, one of my favorite wedding photographers from Italy. 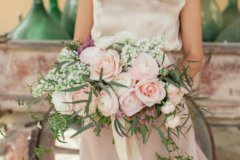 Ready to elope to a Tuscan destination instead of a traditional wedding and get the planning process underway? If so, I will be happy to help, providing assistance with legal paper work, last minute travel arrangements and accommodation if needed. Get in contact with me here. Learn more about great Tuscan City Halls in my free guide here. Thinking of a Symbolic wedding instead? Take a look at this post! Ready to elope to a Tuscan destination? Visit Natalia Music weddings in Tuscany's profile on Pinterest.